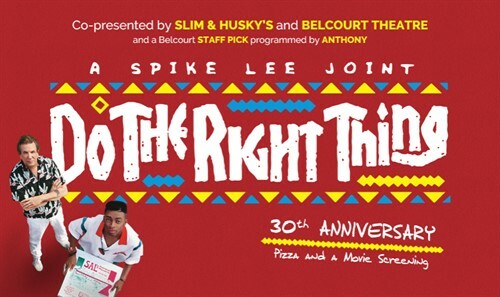 DO THE RIGHT THING’s exploration of racial tensions is, unfortunately, always timely. Set in the Bedford-Stuyvesant section of Brooklyn, what begins as an uproarious comedy evolves into a provocative, disquieting drama as director Spike Lee chronicles a sweltering day in a largely Black neighborhood—and the trivial events that explode into violence and tragedy. Spike Lee’s rousing film heralded the arrival of a new voice. On the 30th anniversary of its release, DO THE RIGHT THING is still holding up a mirror to our society, and challenges all of us to see ourselves in one another. And it still makes us laugh. Join us for Slim & Husky's pizza, the movie that lost to DRIVING MISS DAISY for Best Picture of 1989.